When you buy a theme released under ThemeForest Regular License there are some limitations you can avoid if you consider 100% GPL WordPress themes which are also available on ThemeForest. There is not much of them, especially with the striking design, however a few decent 100% GPL themes are released every month. When you view the item’s page on ThemeForest you can see whether the theme is 100% GPL, but there is no tool to easily find this kind of themes within the marketplace. Our aim is to put all the best 100% GPL WordPress themes available on ThemeForest in one list. There are some beautiful 100% GPL themes we are going to add in this list in the near future. This collection will be updated and filled out with new themes constantly. 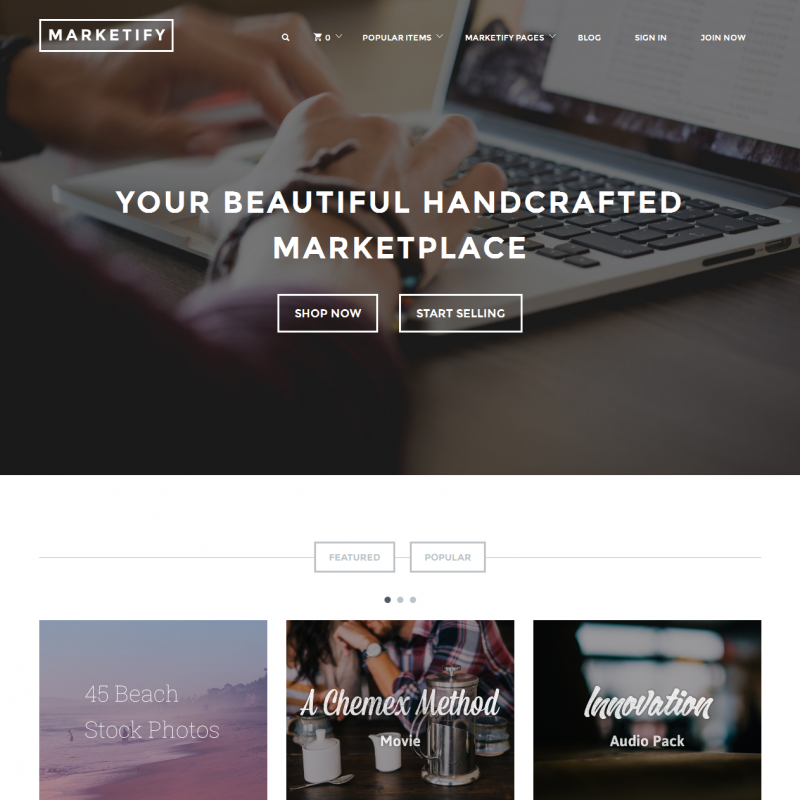 The Marketify WordPress theme contains a full set of features to set up your own online marketplace. The theme is constantly updated by developers and has got a full compatibility with mobile devices due to its responsive design. 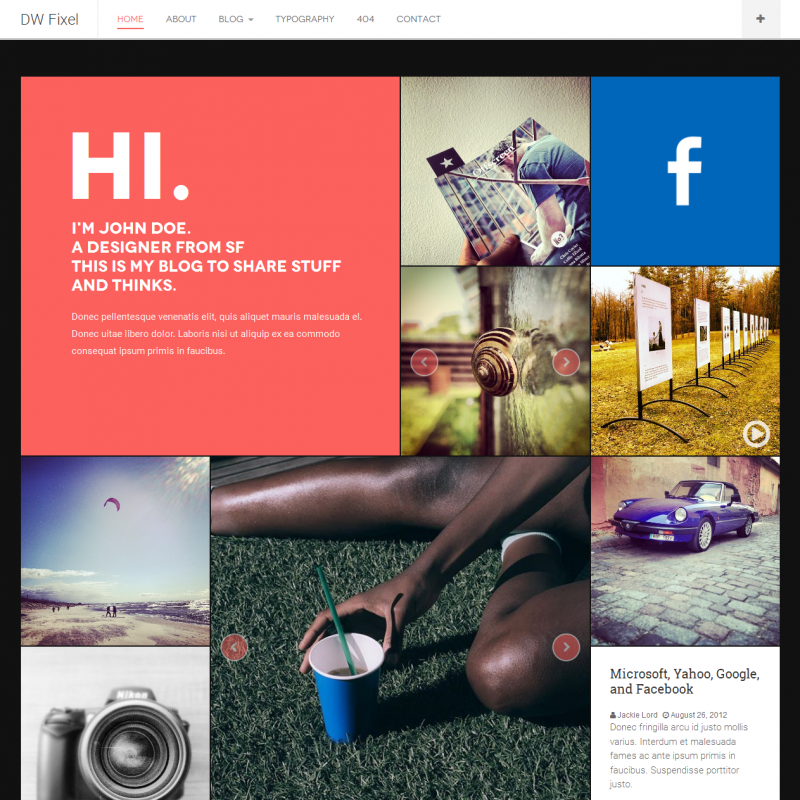 This theme contains a rich base of ready-to-use front page blocks. Every user can just replace existing content or add any required widgets into the widgetized sections to create their own site configurations. You can sell your products online using the free Easy Digital Downloads plugin. With Marketplace extension bundle which you should purchase separately, you can assign any trading commissions for your collaborating vendors, every user can save products into a wishlist, share them and create their own reviews on purchased products within the integrated system. With this theme, you can fully immerse into your own product development and marketing strategy. The rest of routine of online sales, you can assign to Marketify built-in features. 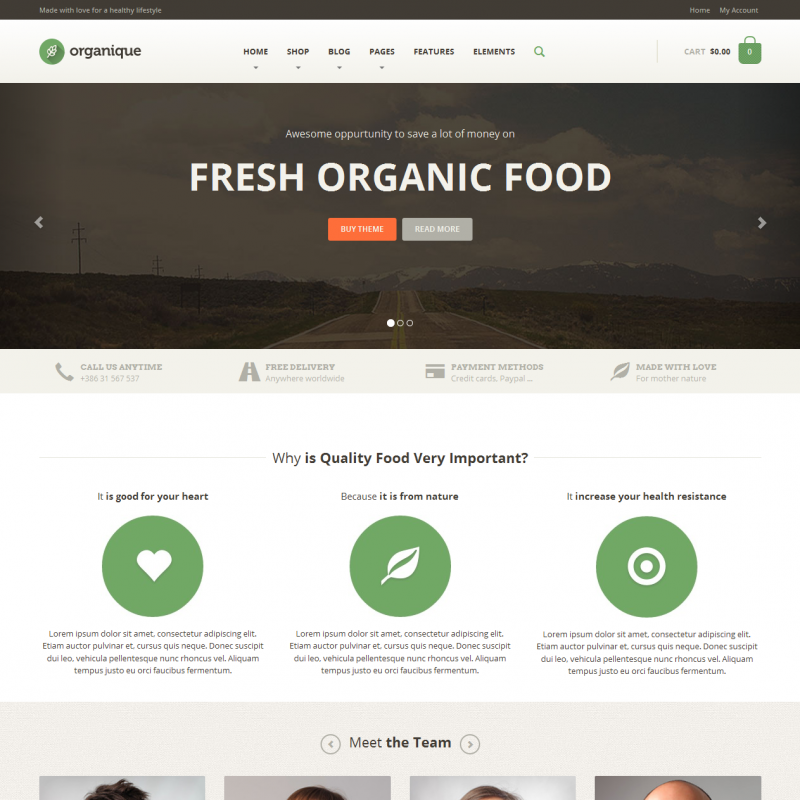 Organique is a perfect commercial theme for fresh and healthy food, eco or any vegan specific products. For any kind of local business, it’s a simple and versatile solution to promote and sell your products to a wide range of customers. It doesn’t matter where your user is located and which device is used to enter your store page. You can reach the maximum audience with the cross browser support and responsive design that allows any user to surf your site and make orders by using a tablet or even a smartphone. The design of the Organique theme can be changed according to your preferences with the advanced Admin Panel options. And for more capabilities, you can make any configuration changes with the integrated Page Builder. There are tons of shortcodes provided to improve your site features. Hundreds of resizable FontAwesome and Zocial Icons are a perfect way to finalize your content. You can easily translate your site to any language with the support of the WPML plugin. The integration of WooCommerce features offers some extra opportunities of online sales. And the Contact Form 7 creates advanced opportunities for you to communicate with your visitors. Created for true photography experts, the Tography WordPress theme unites a modern design with a clean and versatile layout. 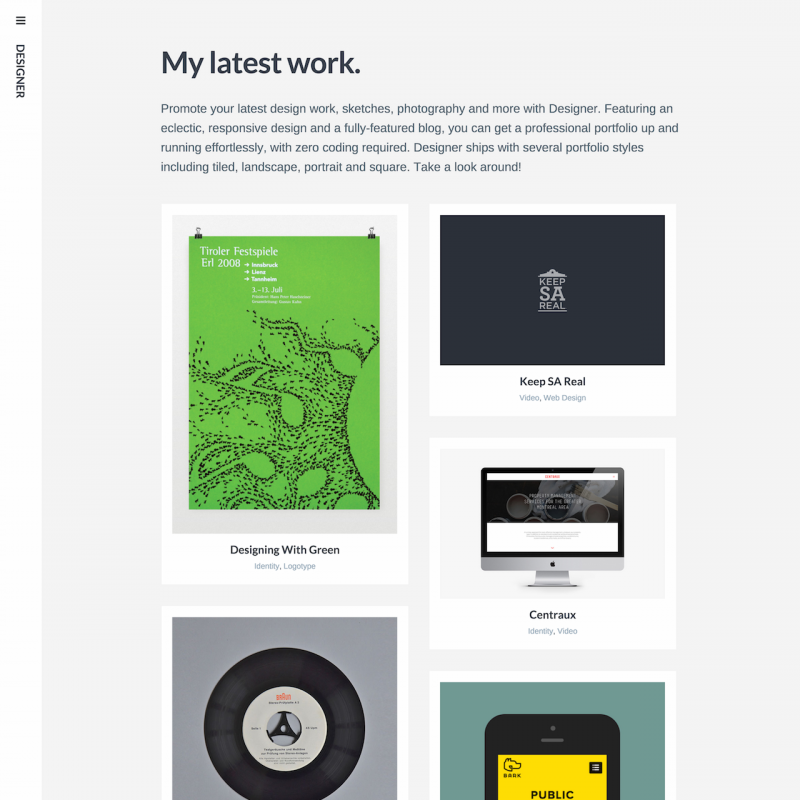 Take a look at this template to understand how easily your unique portfolio site can be settled. The responsive configuration and web font icons are perfectly suited to display your content on any kind of mobile devices and Retina laptops. For every uploaded picture, the extended image details are extracted automatically so you can share with your visitors such details as f-number, aperture and the type of the camera. The Tography theme also includes unlimited possibilities for gallery creation. Use 3 included layouts for portfolio and 3 premade layouts for your gallery view. You can categorize your registered users and organize private galleries for defined groups. Different header styles are available in a few clicks. Use a sticky full-width menu at the top of the screen or minimize it to a hamburger type corner icon. With WooCommerce integration the theme provides you with a large set of tools for your online business. The Festively theme is a perfect demonstration of a personal theme design with creative decisions implemented, minimal layout and beautiful graphic element overlays. It also includes a great mobile experience with its responsive layout and rich configuration options. You can use a widgetized sidebar, a header full-width widgetized area and adaptable footer that creates a space for any amount of added widgets. By using the Theme Customizer you can turn on or off the elements of the site to keep your screen space clean or add a maximum number of usable features. You are fully prepared for social network connection with a number of included shortcodes for social icons. 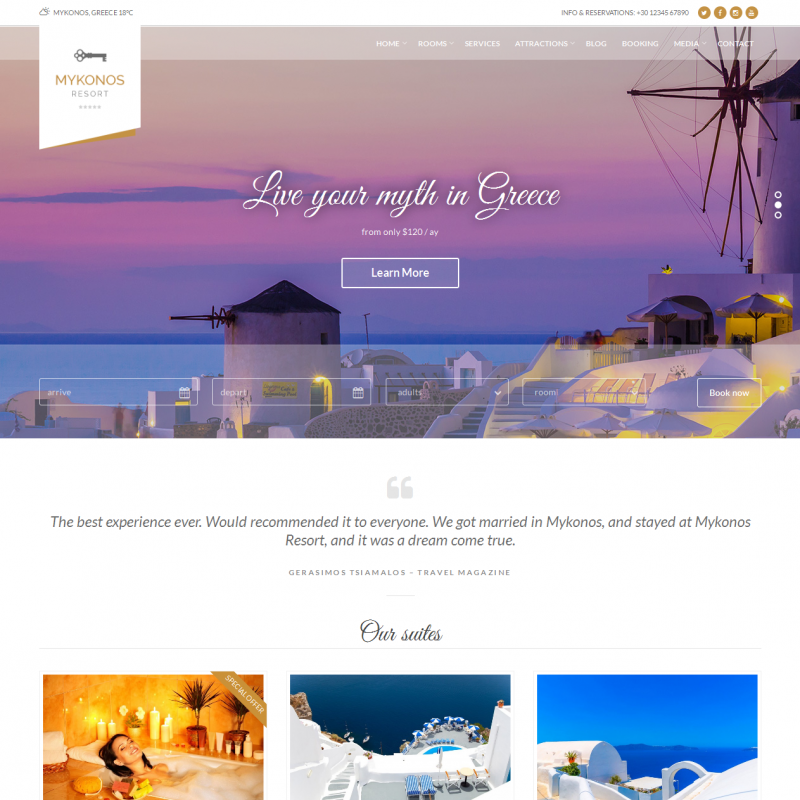 The color options of the Festively template are also under your full control, so you can change your site appearance according to your taste. The font options allow you to select from a huge variety of Google fonts or premium Typekit fonts with custom controls. This template is prepared for translation and contains Contact Forms 7 styling. 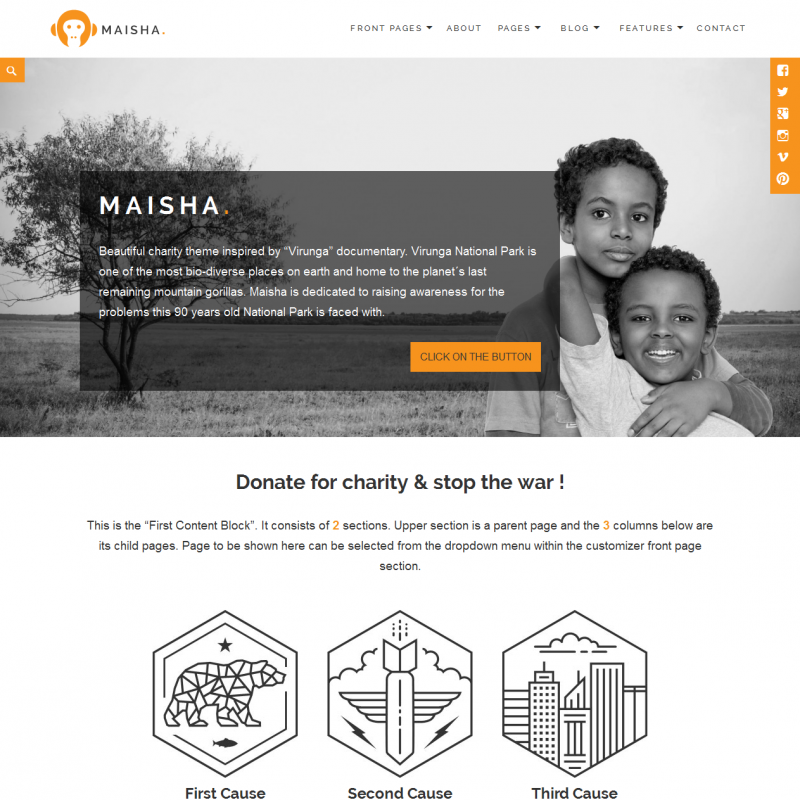 Maisha WordPress theme is created for charity and non-profit organizations. 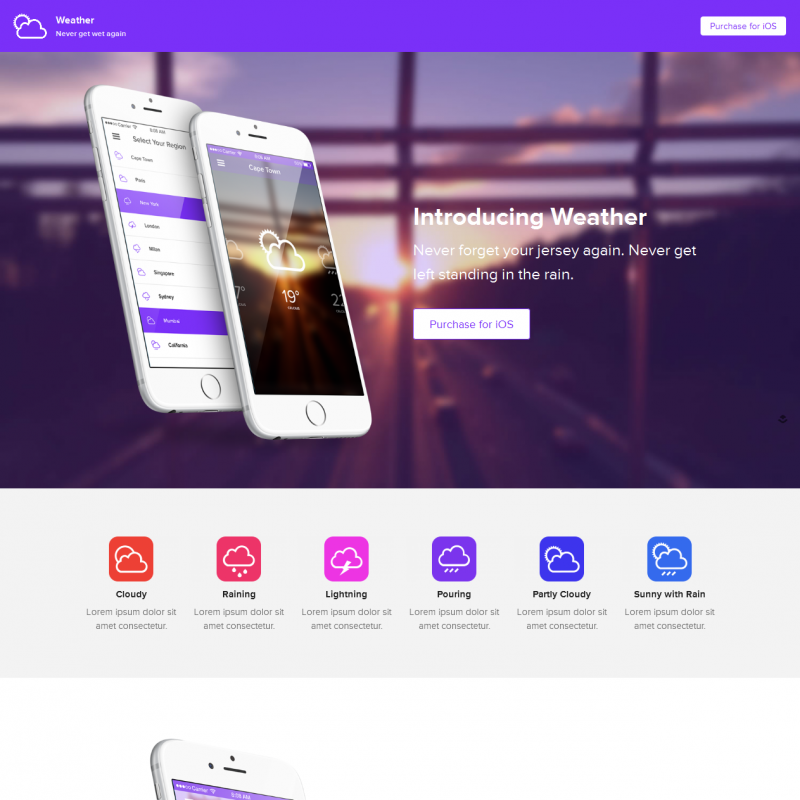 With all the cool features included, this theme is based on the responsive design principles and looks good on the screens of any tablet or mobile devices. 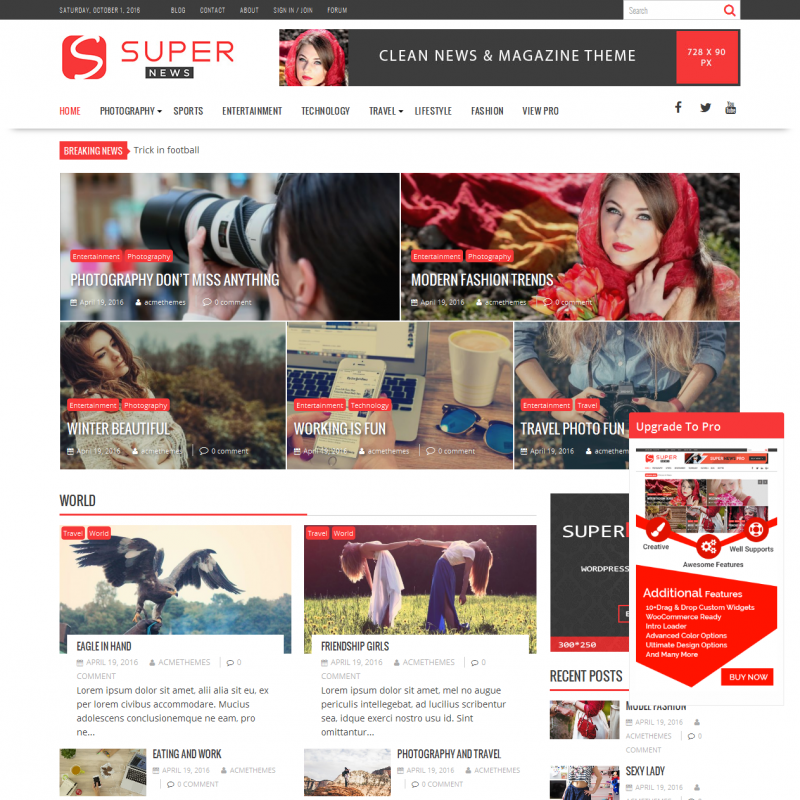 The theme package includes various blog layouts, 3 configurations for the header section, rich color settings and much more. A large set of options that can be changed via the WordPress Customizer. There is also a number of templates for different pages. You can always get the focus of your visitor’s attention with Soliloquy Slider. 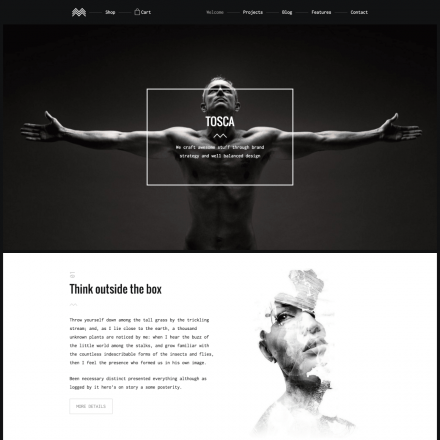 Maisha as a WordPress-based theme presents many blogging options. Use different post formats and select the layout with or without a sidebar. You can set up an upcoming even list with an integrated support of Event Calendar plugin or add a sales page by using all the capabilities of the WooCommerce plugin. 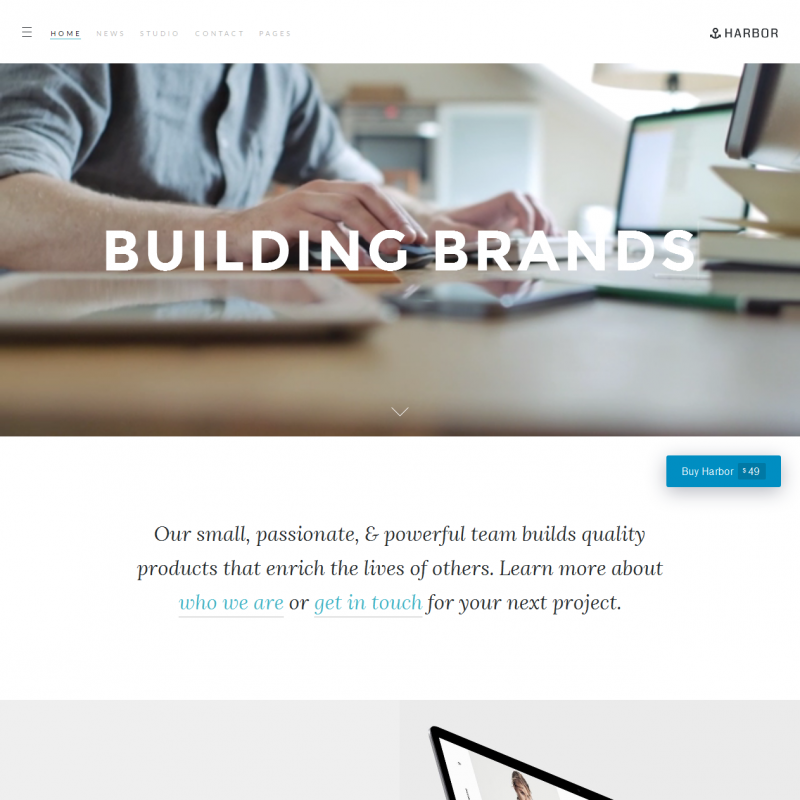 For everyone who looks for a versatile WordPress theme, the Harbor will become a reliable choice that includes many different ways of adjustment and expansion. Its powerful and lightweight responsive configuration allows displaying content on any kind of tablet or mobile devices. With the Harbor theme a bunch of portfolio layouts is included. Use a squared, relative or masonry configuration for your content. On every page or post, you can create a Hero Area with an individual style to impress everyone. You can choose different menu styles – a fullscreen menu or a slide-out widgetized sidebar. You can use brand for your site easily. Upload logo, favicon and change colors using the Live Customizer. With the free plugins created by ThemeBeans, you can add shortcodes and widgets for Instagram and Twitter connection. You can also use plugins for pricing tables, members’ profiles, testimonials, etc. 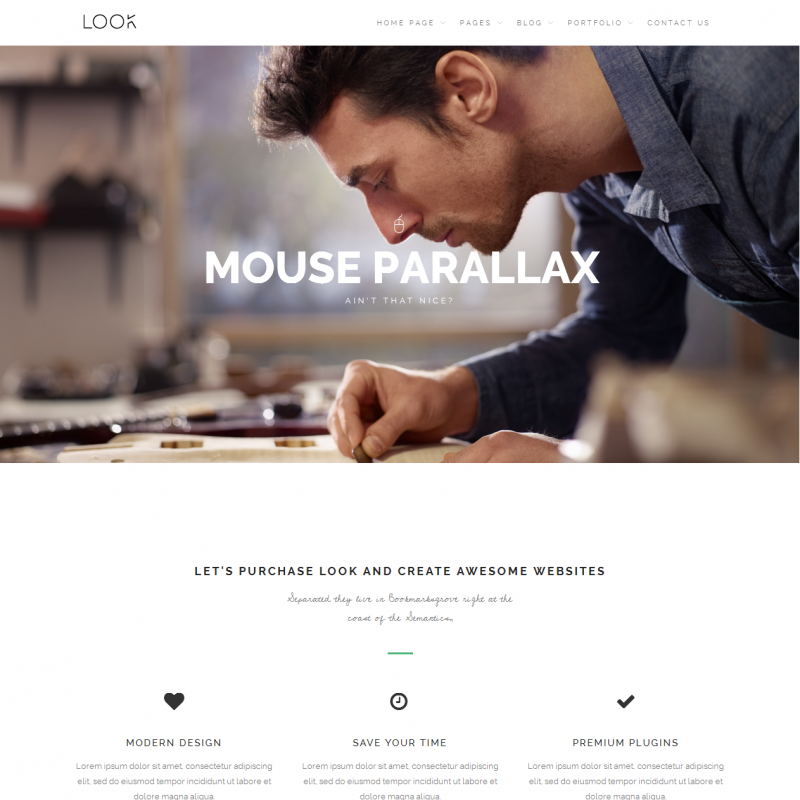 Glamo is a WordPress theme created for eCommerce websites. The Glamo’s unlimited color options, 24 header style options with the ability to choose the positions of logos, header menus and widgets. There are also available custom widgets, Collection Slider with fifteen awesome effects, over 600 Google fonts, and other stunning options will let you provide your online shop with a unique look and feel. The theme also supports over 470 icons you can choose from. The six prebuilt page layouts provided with Glamo will help at the initial stage of using this theme. Later on, you will be able to build unlimited page layouts on your own using the powerful page builder. You can create as many page layouts as you wish with the help of the popular Visual Composer commercial plugin delivered to you for free and another one, less widely used but which is not less powerful, the WR PageBuilder. Seven post format will help you present your content in the most relevant way. 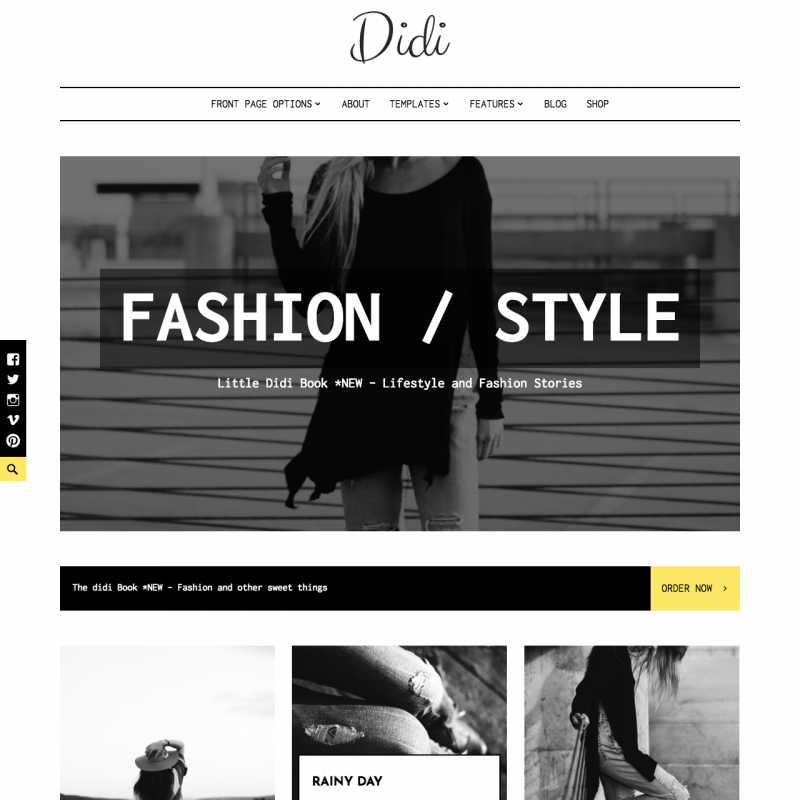 Using modern and minimal design, Didi perfectly matches with any of your requirements for fashion magazines and lifestyle blogs or websites. The theme’s responsive design fits really well to display your virtual magazine at screens of any mobiles and tablets. Cross-browser support allows presenting your creative magazine for a maximum audience. Use predefined page layouts to set up your basic page configurations. Select one of 4 variations with or without a sidebar. Change colors for any visual component with a user-friendly colorpicker. Set up all the main theme option from a theme Customizer advanced menu. 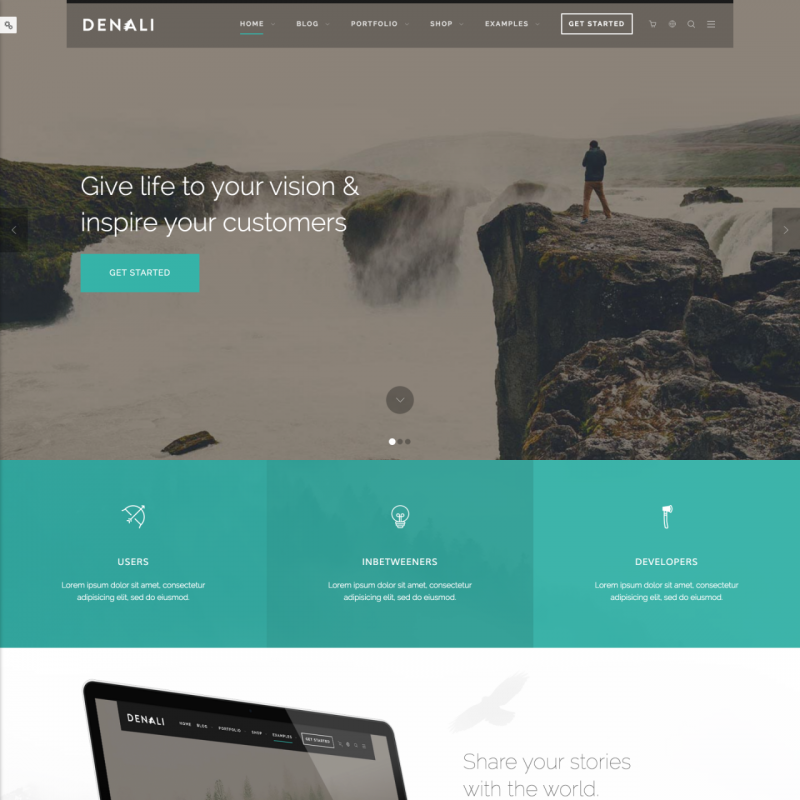 Define your custom site header, load up your logo and background. At any time, you can rearrange your blog posts easily with the help of one of the six included blog layouts. 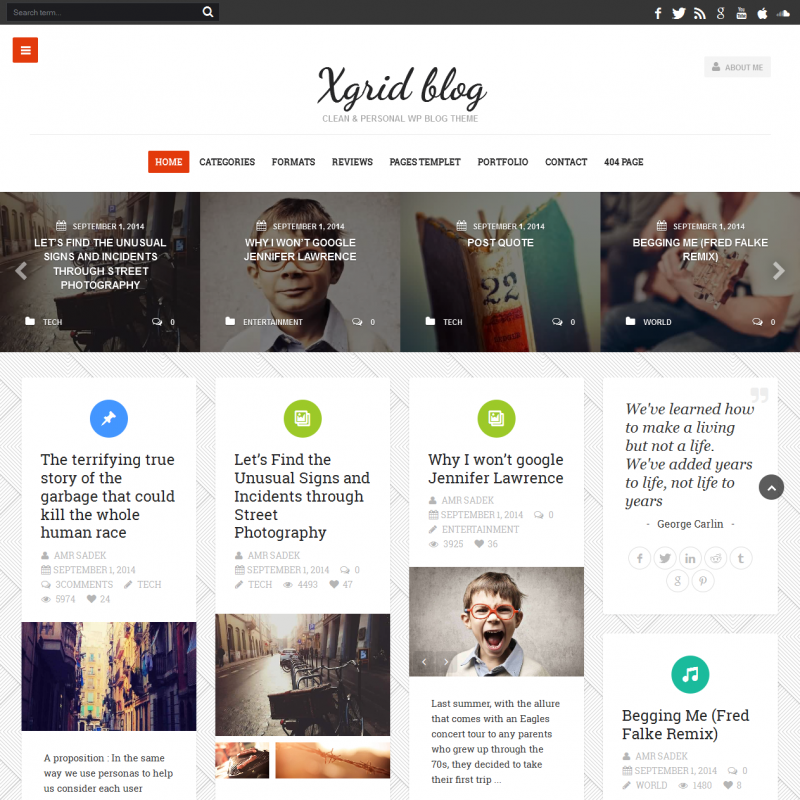 The xGridBlog WordPress theme has a minimal design and many bloggers will definitely like it for its large set of useful features. The developer team for this template offers as much as they can give. Select from 7 different blog styles. For your posts, you can choose different predefined layouts for different categories. Create a portfolio gallery with different columns number and automatic thumbnail generation. The integrated review system allows your visitors to comment on different posts and rate them. For the site navigation, a customizable slide-in sidebar is added. Also, a carousel with the latest posts is added to the homepage. You can choose any colors you like for your site appearance with the backend Color Picker. The built in Awesome Admin Panel includes tons of options and allows you to change your site configuration on the fly. There are social network counters already included that allow your visitors to monitor social network stats. And the other 16 widgetized tools included allow you to add some modern features to your blog. The xGridBlog has a responsive design; and every user can take a look at your site from anywhere with his own tablet or mobile phone. 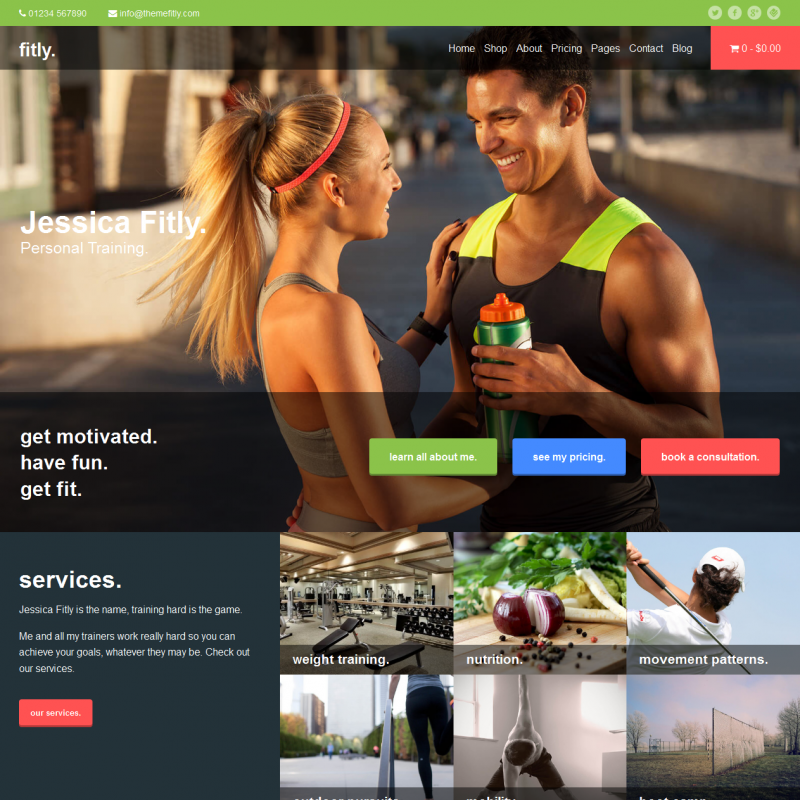 The Fitly WordPress theme is stylized and adapted for fitness trainers and personal training teams. Everyone can create their own site really easily and enjoy its modern features and ready-to-use layouts. The responsive configuration of this template reveals your web site for users from any kind of tablet or mobile platform. You can use a simple and clean blog configuration with a large variety of post types. Present your services and team in a well-designed Service post type with categorization. Also, you have the ability of creating a testimonial-post or a slider-type post for a a bright and memorable presentation. 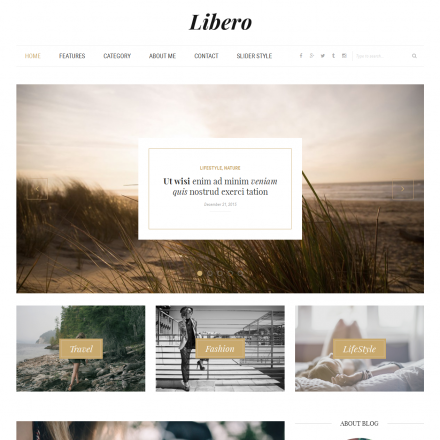 The Fitly WordPress theme is highly customizable and can be adapted for an individual style with the Theme Customizer. Most of the site texts such as the footer text, motivational quote, header contacts and text logo can be changed right from the Customizer menu. 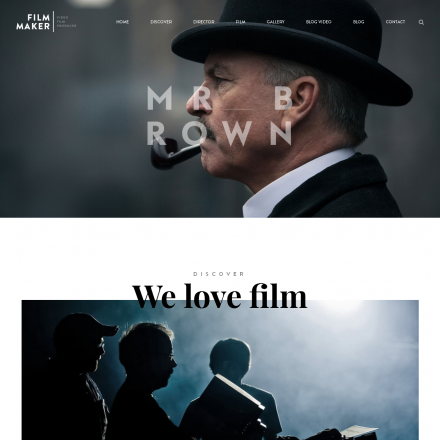 For a site owner, the theme has a huge potential of color setup and wide typographic options. Choose one of the Google fonts or a premium Typekit font if you have an appropriate Adobe subscription. This template has 11 widgetized areas and a large set of useful shortcodes, including shortcodes for social networks. Start up your digital portfolio using the premium WordPress Designer template with excellent typography. You can set up an impressive showcase for your content with the implementation of video and audio capabilities. The advanced Live Customizer options allow you to manage your site appearance without any programming skills. With this theme you can change the primary color, upload your own logo, select dark or light sidebar and more. JetPack plugin offers you astonishing abilities for creating tiling galleries just in a few moves. You can add an Ajax portfolio loading to boost your site’s performance. The Designer template includes a child theme for WooCommerce that allows to create your own online shop easily. 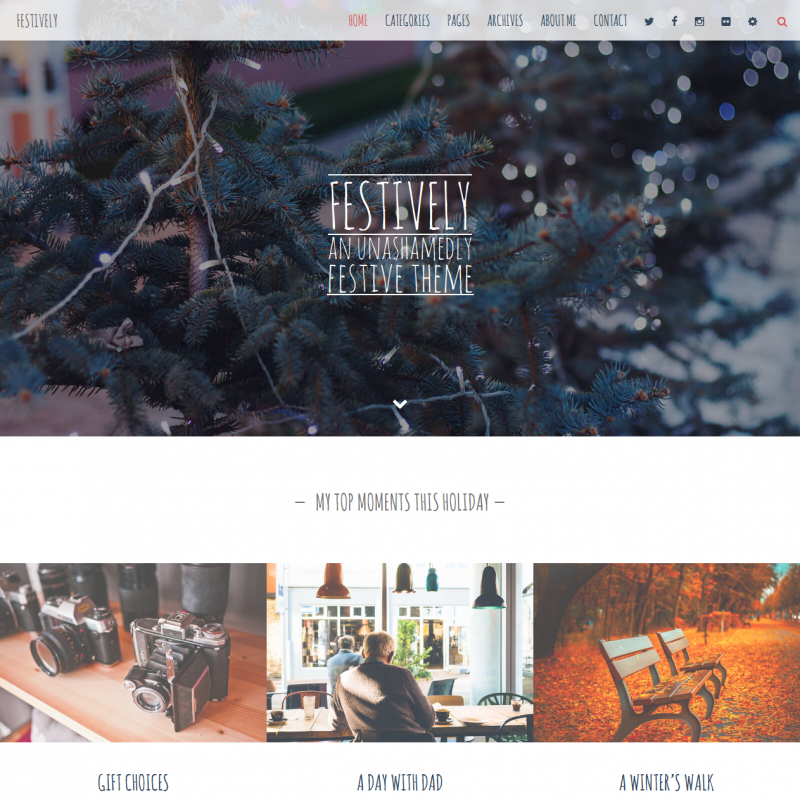 The Spaces WordPress theme allows you to settle an online site with a creative style. Without any efforts and complex programming knowledge, you can get full control of your web page appearance. You can use all the capabilities of Easy Digital Downloads plugin for your digital products and wide abilities for selling tangible goods with the WooCommerce online store plugin. With all the premade portfolio layouts, Spaces gives you hundreds of ways for creating a unique and inspiring web site to follow. The Bean Shortcodes Plugin offers a huge number of ready-to-use decisions. The theme is compatible with Gravity Forms and Restrict Content Pro plugins. If you are working as a team, consider to add your team members’ page with a special plugin prepared. Each of your registered users can add their own review with the included Bean Testimonials extension. 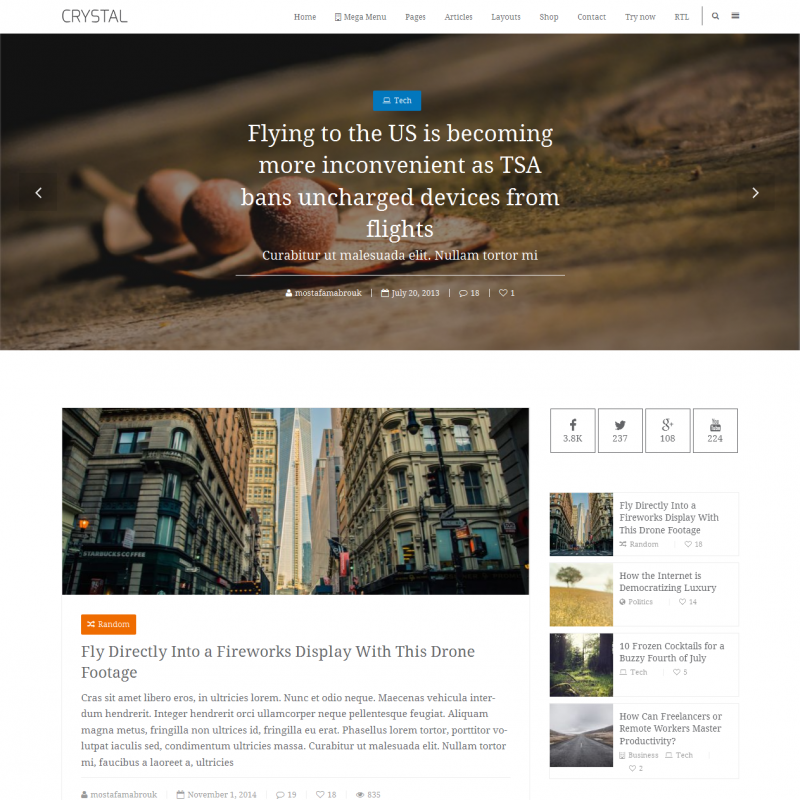 Crystal is a theme with unique style for personal blogging. 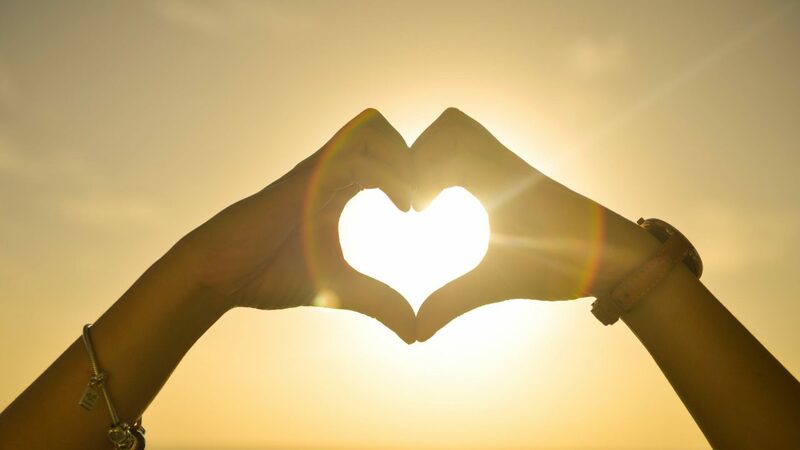 To try all the advantages of this theme, there is 1-click installation. You can use all the provided page styles or create your own with the included Drag & Drop Layout Builder. You can post articles by using 10 well-designed formats. Change colors by your taste and choose from a wide range of Google fonts to get the best visual performance for your content. Create unlimited sidebar configurations for the advanced navigation options. And all of this comes with a responsive design for tablets and smart phones and wide cross-browser compatibility. For the advanced page creation, the Crystal template is provided with Awesome Builder (saves you $24) and 40+ shortcodes that allow you to compose your own design fast and without any complex coding knowledge. For the maximum comfort of your visitors, you can add a reading progress indicator. This template is ready for translation, supports RTL languages and WPML plugin. 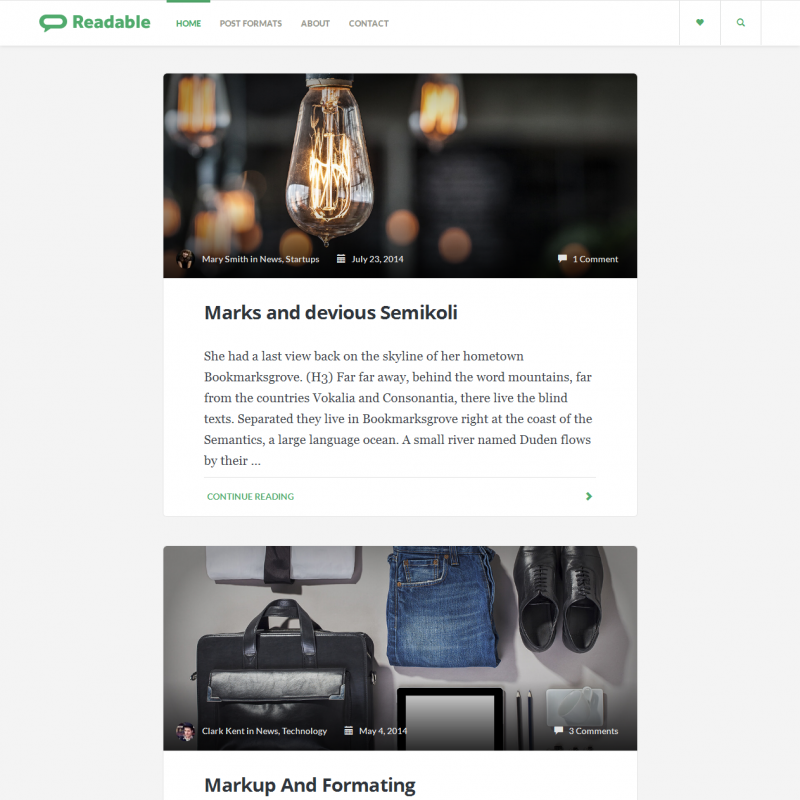 With its strong focus on text content display, Readable is a modern WordPress theme with minimal surrounding and navigation elements. It can be used for a personal blog, a corporate news feed, an online newspaper website. A great job has been done with text readability. The font size, hierarchy, letter weight and characters per line are optimized for a maximum reader’s experience. 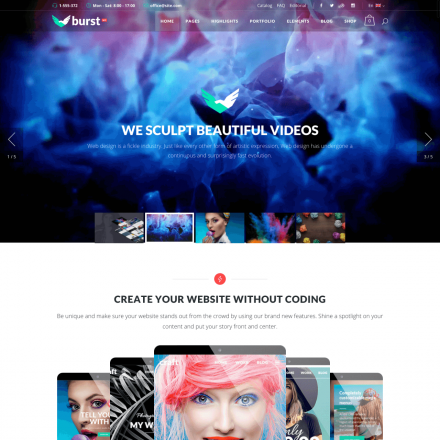 This theme allows to change main and secondary color and provides great creative abilities for your site configuration. The Readable theme is already translated to 7 languages, and its compatibility with the WPML plugin offers perfect international capabilities. Use its large list of supported WordPress plugins – Contact Forms 7, Page Builder, WooCommerce – and that is just the start of the list. 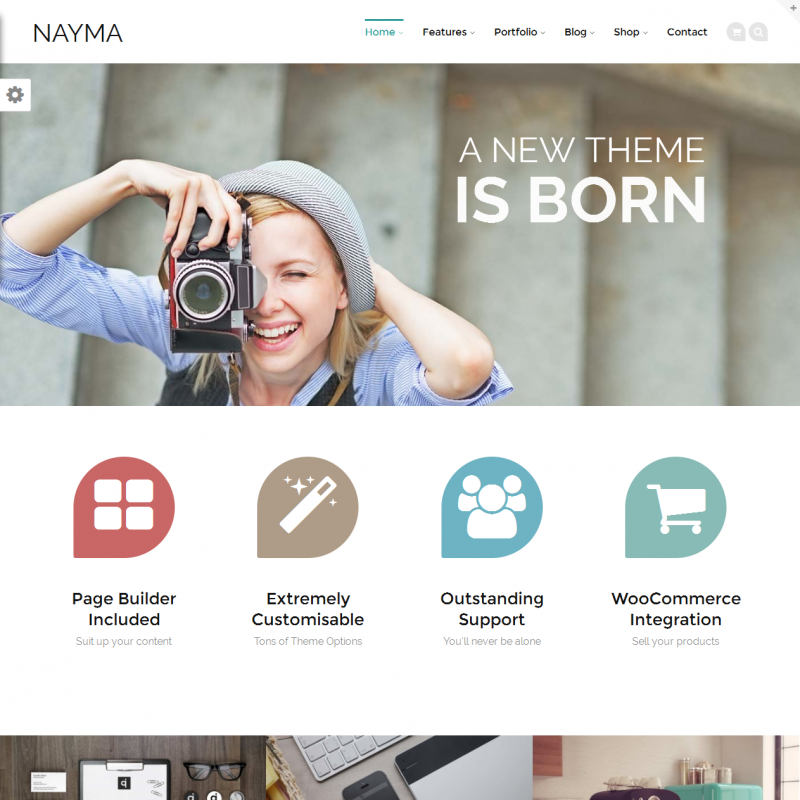 Nayma is a powerful and flexible WordPress theme perfect for many varied kinds of websites. There are 12 page builder modules included that are ready to use: slogan, carousel, services, testimonials, team, clients, featured and recent posts, etc. Each page builder module includes a lot of features for you to customize. Download the user-friendly drag and drop page building plugin created by SiteOrigin team and start building your own stylish page layouts at once without writing a single line of code. Nayma provides three slider types (regular, wide, and large) with various caption styles available. The theme supports Crelly Slider plugin which allows you to create beautiful slideshows with images and texts in animated layers. There is a specifically designed module for that, just to make it easier for you, the Nayma Crelly. 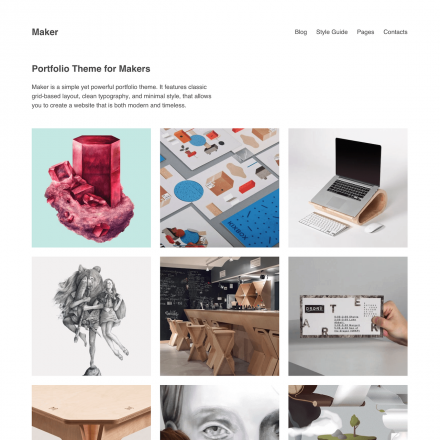 Nayma includes Masonry and Grid styles for your portfolio pages. Choose between two-, three- or four-columned layouts with margins or without margins. 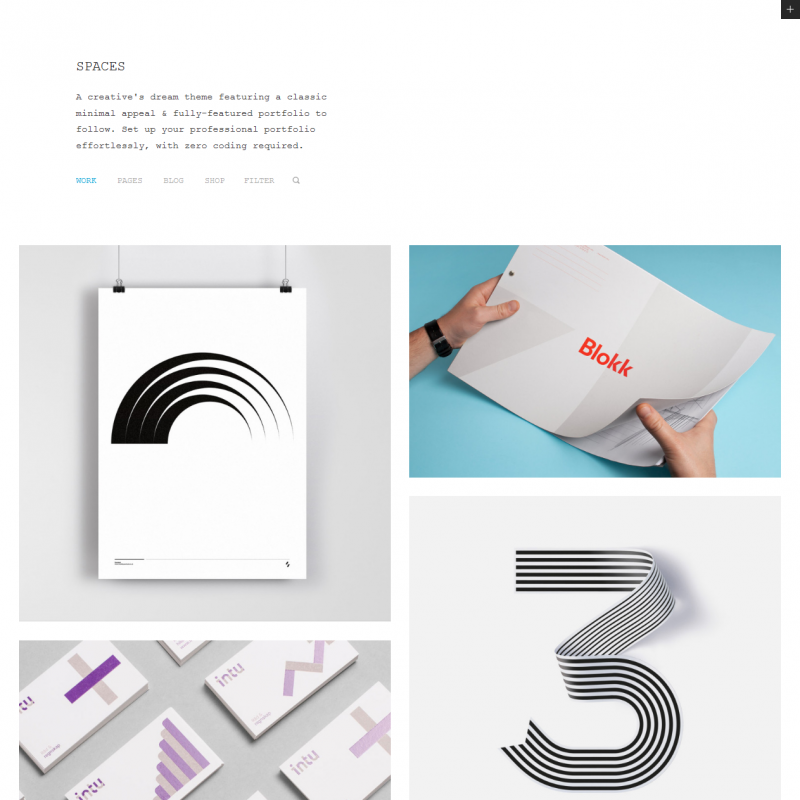 Four awesome single layouts for your portfolio projects is also available. 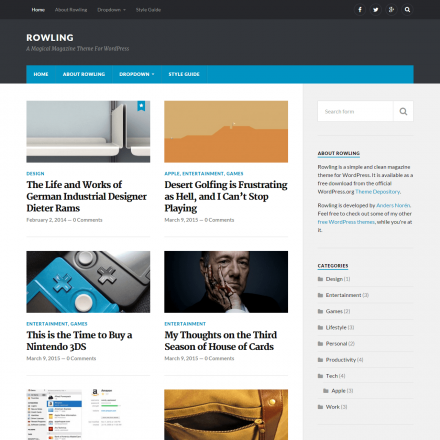 The theme provides different blog styles, as well as support for 8 post formats. 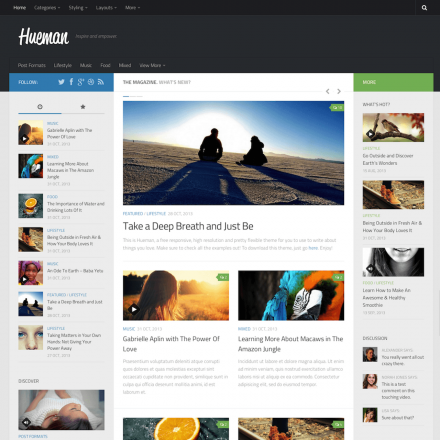 Nayma theme offers four header layouts and a beautiful sticky header option. Choose among numerous available components to use with your headers like taglines, brand logos, main and secondary menus, social media integration icons, shopping cart icon, keyword search, contact information. 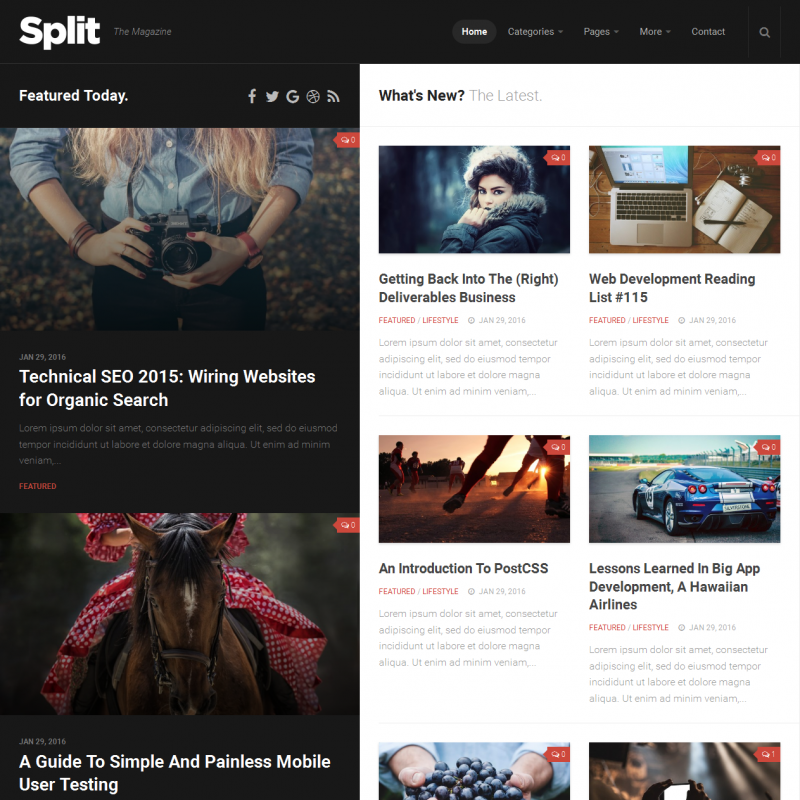 Split is an unusual theme for magazines and blogs. Its original layout style will let you have the article title, the image, and the social sharing buttons always fixed on the left side of the screen. The related posts block and next/previous post navigation will let you engage your users and make sure they stay on your site for a longer time. The theme supports various post formats. You can customize the colors, upload your logo and more. The footer widgets can be placed in 1 to 4 columns or switched off completely. Custom widgets from the theme’s creators are available that you can use to add post lists, videos, tabs. 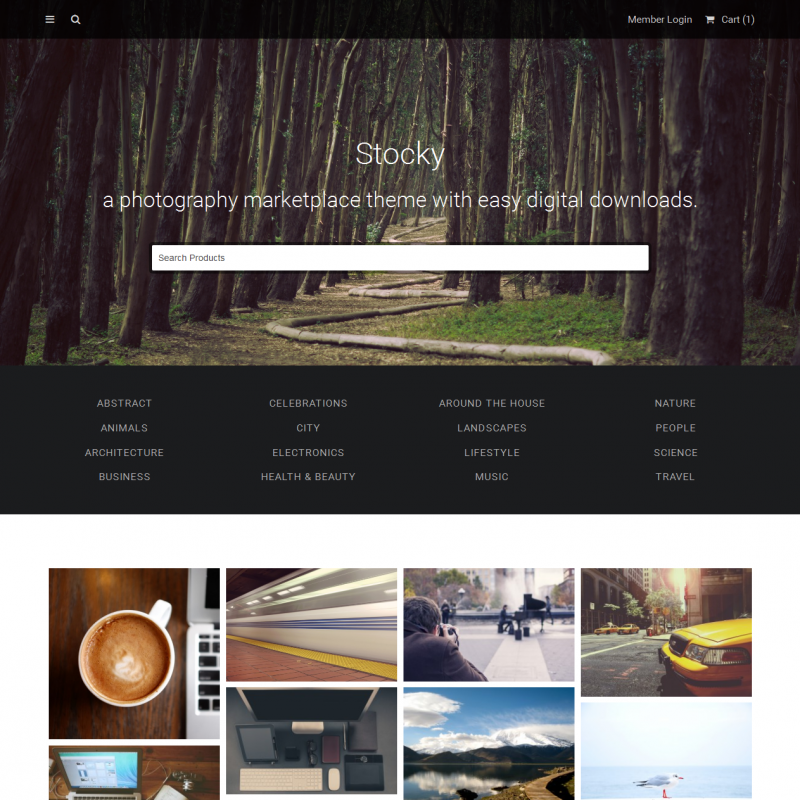 You can use the Stocky WordPress theme to sell your photographs or any kind of stock images online. This theme is focused on images, and images only, and you can show all the benefits of your existing artwork to your customer. It’s also really simple to sell your photo online by using the supported Easy Digital Downloads plugin. You can create community that allows other people to present their images and sell them from your site. The compatibility with Easy Digital Marketplace Bundle allows you to widen up your small portfolio into a large online stock images store. It includes frontend submissions, commission payouts and rating system. This bundle of extensions should be purchased separately. This theme provides the plugin for Adobe Lightroom keywords. Optionally you can also display EXIF data for images. The Stocky theme package includes templates for most required pages – vendor portfolio, contact and login pages for your visitors. 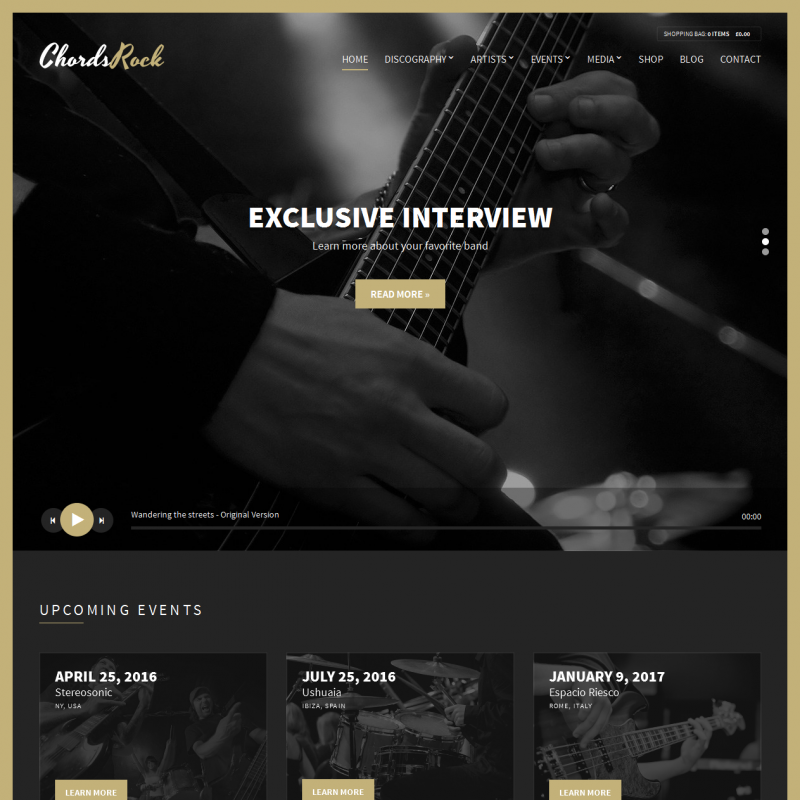 The Chords theme suits really well for entertaining sites and music studios, and allows creating a bright performance on the web for single artists or music companies. 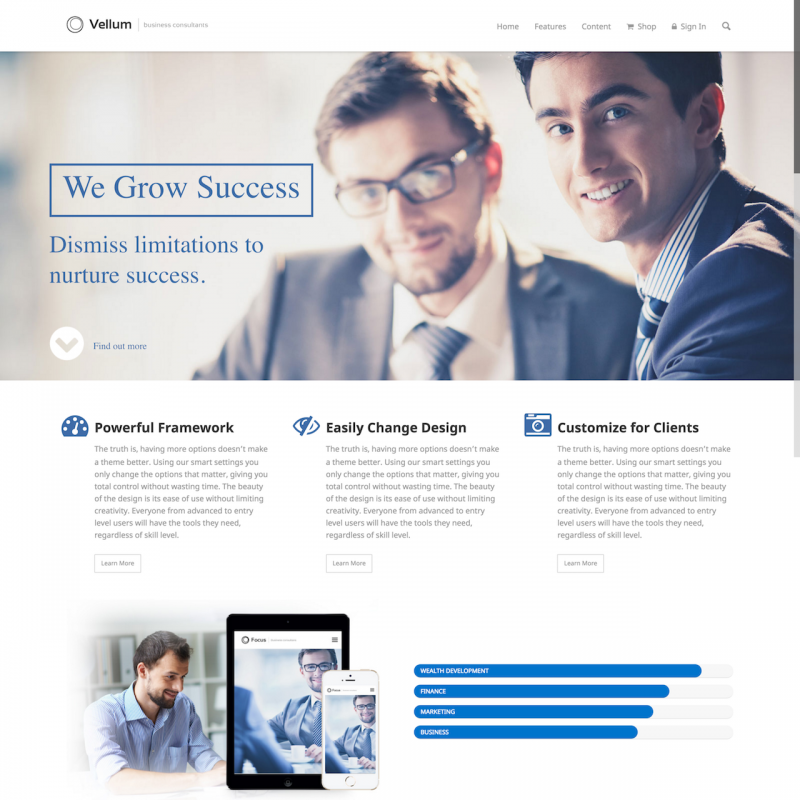 Its responsive layout makes this theme accessible from tablets and mobile devices and sets up your site for Retina displays. This template contains a large list of useful features for a music web portal. Self-hosted audio player allows reproducing streaming content and is powered with Soundmanager 2. The advanced discography system will help you to create playlists and embed them anywhere with the tracklist shortcode. All kinds of photo and video content can be categorized with the included media management system. There are 16 variations of different gallery displays. You don’t need to install additional extensions for the event list creation. Yes, Chords has its own events management system. Make bright announcements, set date and time, show your map location and a set up ticket system. And even more, with the WooCommerce plugin integrated, you can set up your own ticket selling system or set up a sales page for your fans. Chords includes a large list of settings for every aspect of your site. It allows you to change color variations within its 16 available schemes. The layout of the homepage can be edited in a drag&drop builder. Use the endless combinations of the included custom widgets to outline the uniqueness of your work. 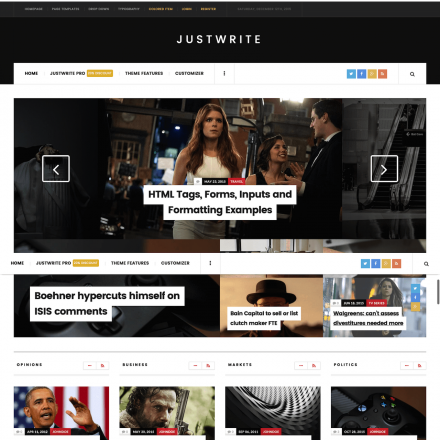 If your blog is your hobby, or your organization needs a daily or weekly newsfeed, the JustJane theme can become a reliable choice. Share your lifestyle, travel, fashion or any kind of other articles for a wide audience with the support of major browsers and the responsive design of JustJane. 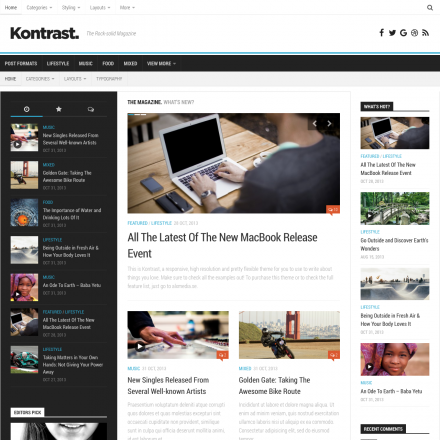 The theme supports different blog post formats. 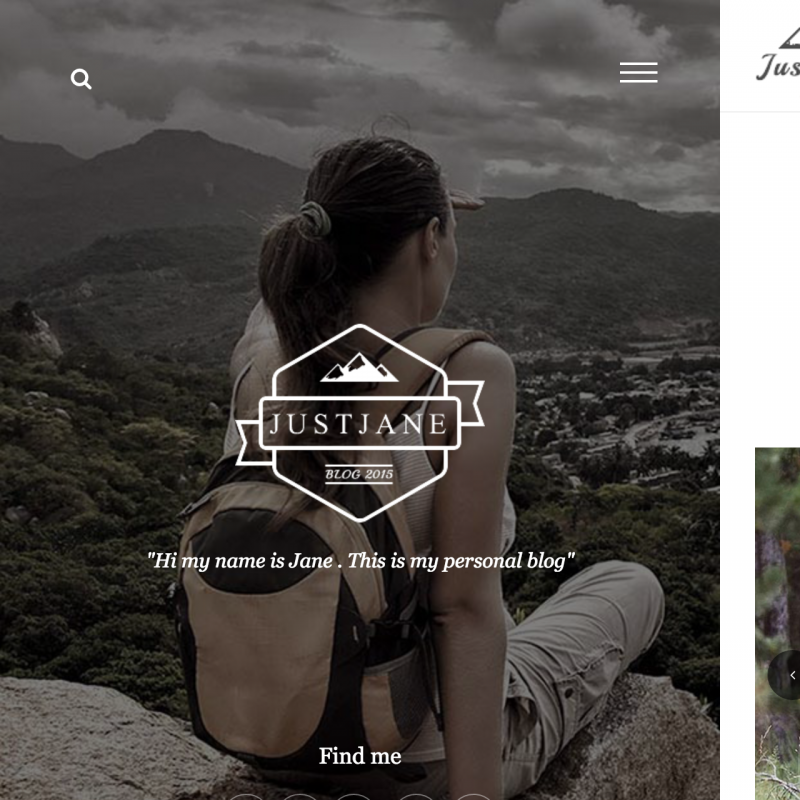 JustJane has a clean design and allows putting main focus on your content. You can use a wide range of theme customizing options with a live preview. Add sliders with a Touch and Swipe support to your posts. Get some feedback or suggestion from your readers thanks to compatibility with Contact Form 7 plugin. 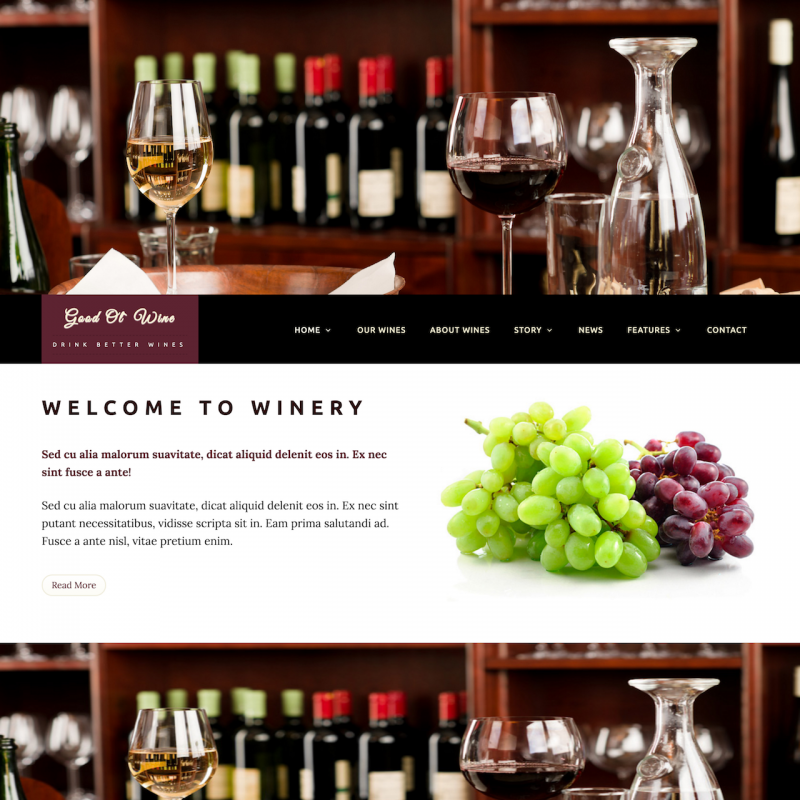 The Good Ol’ Wine is a responsive WordPress theme with a modern design for all kinds of wineries and wine experts. Within all the WordPress basic features such as widgets and post formats, this theme provides Soliloquy Slider plugin that allows creating beautiful customizable sliders for posts, pages, widgets. Good Ol’ Wine theme includes full-width, grid or split-page templates. And with the handy WordPress Customizer, every user can change the site settings, upload background and header images and get access to color options. For advanced design options, everyone can use Jetpack Edit CSS tool. This theme is prepared for WooCommerce plugin, and it allows you to add a selling page or even turn your site into an online store. You can also set up an advanced event announce system with the integrated Event Calendar plugin. For some extra promotion, this theme is packed with Social Icons Widget. 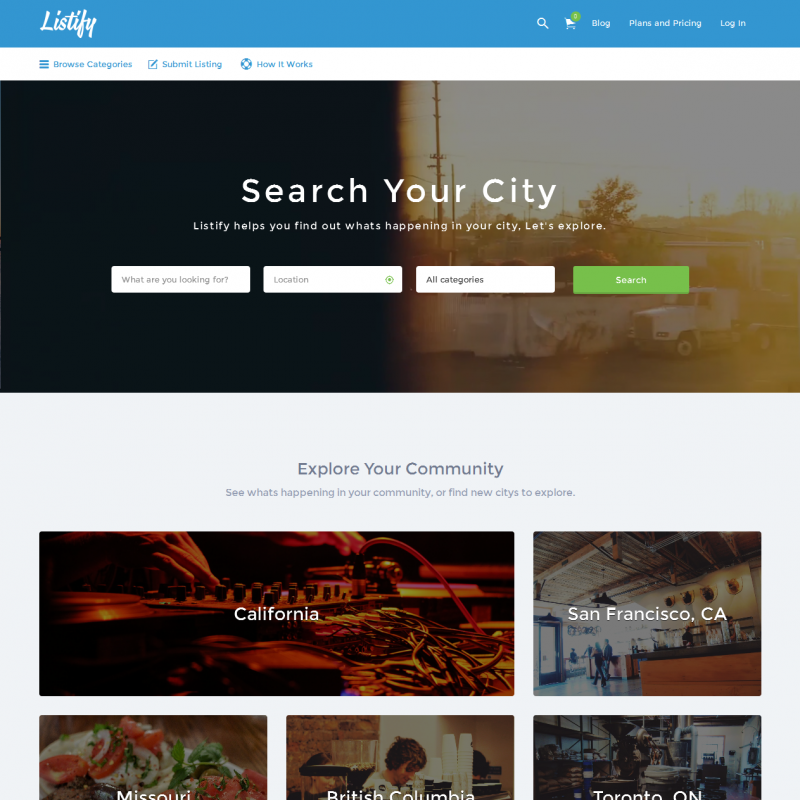 If you are searching the theme for your directory site, Listify can become a decent choice. It brings up a stand-out-of-line design and powerful feature list. It allows you to build a reliable reservation system in really short terms. With its responsive design, it will be highly accessible from any kind of device or browser. With its integrated WooCommerce payment features, you can easily set up your own payment system for discount coupons or gift certificates. For any kind of community, you can present versatile pre-paid timing plans with an access to your site’s exclusive information. You can post any kind of listings and your visitors can make a reservation or book an appointment just in a few clicks. Just after the installation, you can expand your site functionality by adding compatible plugins such as GravityForms, Contact Form 7, Ninja Forms, FacetWP and some others. 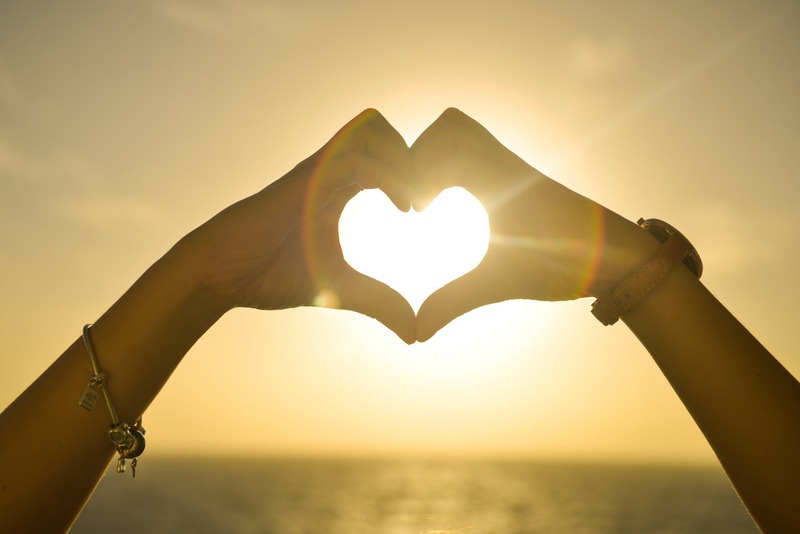 And for the best booking online experience, you can build a connection with OpenTable, Guestful, and Resurva extensions. 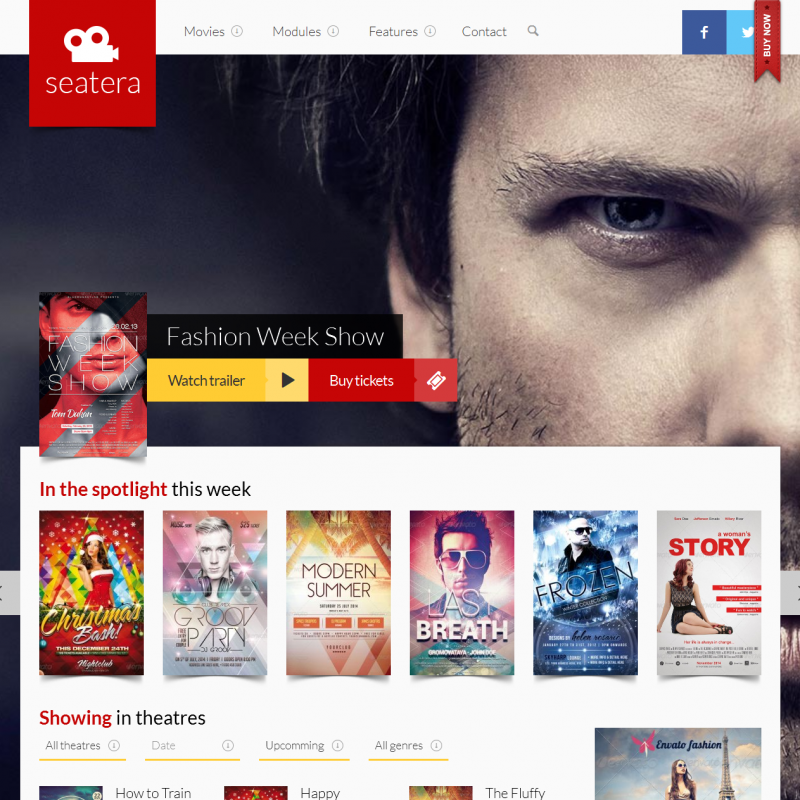 For any kind of individual theatre, cinema or concert hall, Seatera can become a great theme that offers convenient ticket reservation. 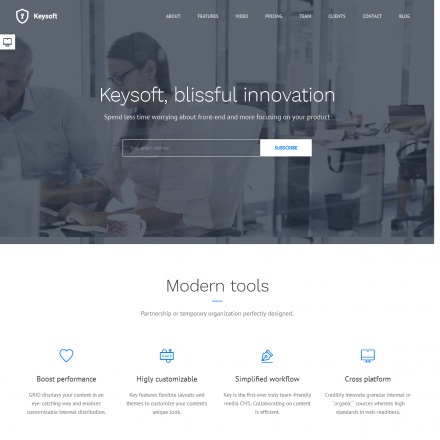 This theme allows you to create your own configuration without any coding skills – just build your site layout with drag&drop and adjust fonts and other settings via options panel. You can embed YouTube, Vimeo, Dailymotion or even self-hosted videos into your posts to promote your events or add some fresh movie trailers. Also, you can create impressive slide-shows with the included Slider Revolution premium plugin without any extra payments (its usual price is $18). For a sidebar configuration, there are 7 custom widgets that allow you to add some useful features like contact form or social network buttons. 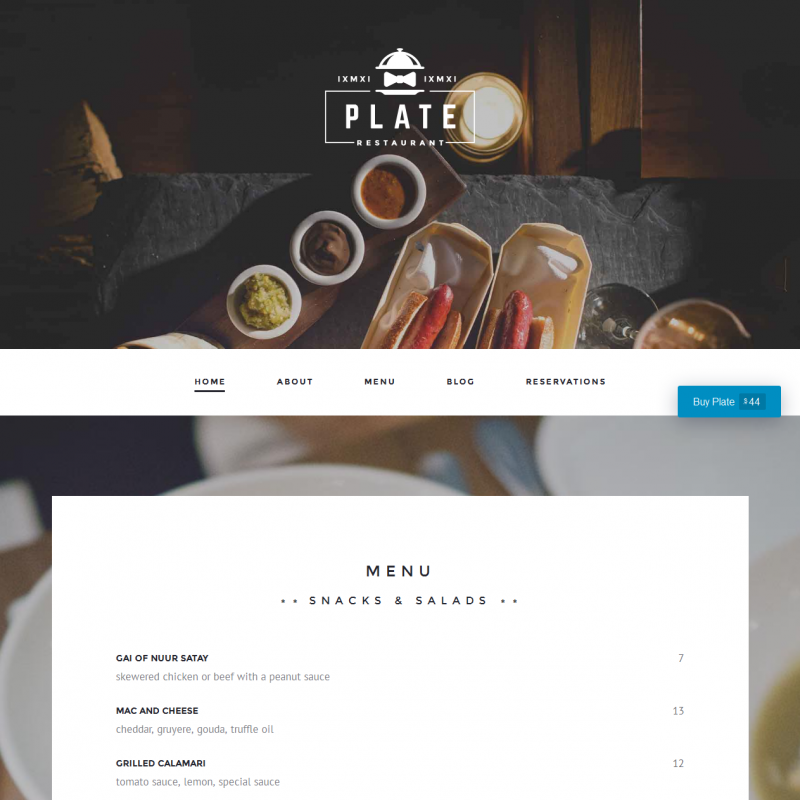 Plate is a stylish 100 % GPL theme with a clean responsive design for cafe and restaurant websites allowing your site visitors to book tables online. You can create unlimited layout variations for your homepage by using custom widgets, add your restaurant’s menu, a gallery and an Instagram feed, and of course, you can run a blog. If you wish to find more 100% GPL WordPress themes, try out our advanced search tool.